Wayne Nickerson, a fisherman from Massachusetts, couldn’t believe his eyes when he pulled up his lobster trap. The professional lobsterman has been catching the red-clawed bottom feeders for 35-years, and this is the second time he’s ever seen a blue lobster. After making the catch, Nickerson called his wife Jan and decided to keep the rare catch for themselves according to ABC News. 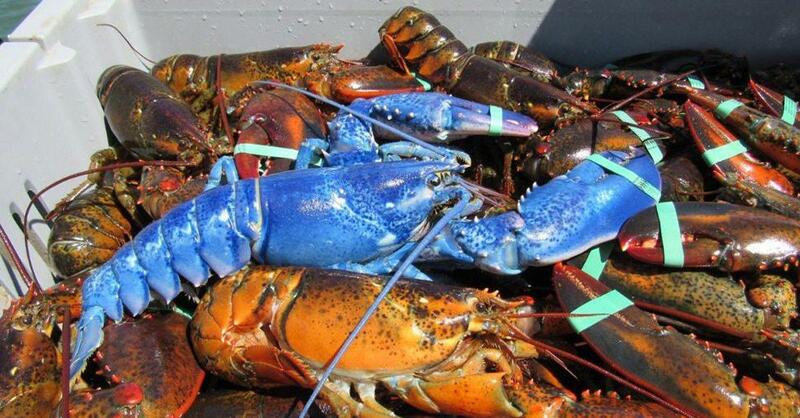 Blue lobsters are incredibly rare with approximately one out of 2 million appearing with such a vibrant blue hue. Jan told ABC the lobster was so blue “it was almost fluorescent. It was almost glowing!” The Nickerson’s have appropriately named the odd looking crawler Bleu.